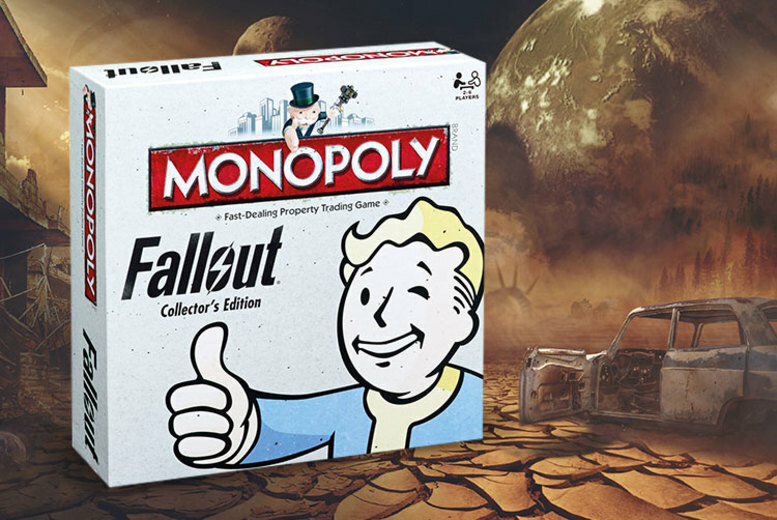 Get a Fallout edition of the classic board game Monopoly! Travel the Wasteland and rebuild civilisation! Buy, sell and trade using money imprinted with Nuka-Cola bottle caps. Build Vault-Tec approved Shacks (Houses) and Vaults (Hotels) to trap your rivals. Choose from six distressed-finish tokens inspired by the Fallout videogames. A perfect gift for Christmas!